I’ve rounded up the best of the best Mother’s Day Events for Moms to enjoy throughout Oklahoma. Keep in mind not all events take place on Sunday, May 13, 2018. Provided by The Petroleum Club, the Mother’s Day Buffet features carving stations, a variety of vegetables, fresh salads, and other tempting side offerings. An extensive dessert buffet completes the menu. $35 per person includes tax, gratuity, and Museum admission, $17.50 for children ages 5 — 10, children 4 years of age and younger eat free. For reservations, call the Downtown Petroleum Club at (405) 232-1184. More Details. Pamper your mom with an afternoon on the Oklahoma River. The Mother’s Day cruise will offer champagne & mimosas at the cash bar and complimentary bite sized desserts. Advanced ticket purchase required. Choose from a 1:00 pm departure or a 3:30 pm departure. All tickets are $30.00. Choose from a 1:00 p.m. departure or a 3:30 p.m. departure both leave from the Exchange Landing. Enjoy brunch at the Gilcrease Museum (hurry and make reservations as they fill up fast), stroll the gardens, shop their store, check out the latest exhibits and get a FREE family photo taken in their beautiful gardens. 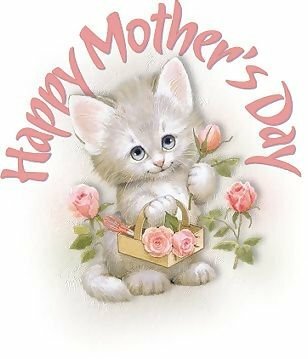 -Doors open at 10 a.m.
-Brunch begins at 11 a.m.
-FREE family photos from 1-3 p.m.
-Annual Mother’s Day Jewelry Sale with 25 percent off all jewelry. May 11-13. No other discounts apply. These places are offering free or discounted admission for Mothers on Sunday. All you need, in most cases, is one paid admission with a family member! Check with each one for details. For even more activities you can do with your Mom throughout the month of May, check out this guide by MetroFamily. Follow Uncovering Oklahoma on social media like Twitter, Facebook, and Instagram for more stories on creative people and places in Oklahoma. Be sure to check out the Events Calendar too and help support us by becoming a patron.